The high-rise insta-suburb around Mascot station has a new cheery little buzz during the day. There's half a dozen great little b-kyu restos to try. Taste Gallery is the current blip on our radar. Taste Gallery lures us in with it's no-nonsense canteen vibe. It's an order-at-the-counter job with a good and varied menu, though we've been having trouble getting past the noodle soup section. The kitchen is run by a bunch of uncles with some great cooking chops and the front lady is cheery and organised. It's become a happy habit to feed at Taste Gallery on the way to and from the airport. Double mushroom gluten noodles - $11.80. We loved this so much we came back to try it again just to make sure of it's awesomeness, it's one of those soups that just make you feel cleansed and refreshed. 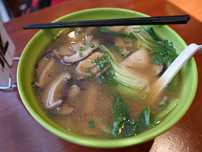 The clear broth is very gentle, we taste white pepper and a hint of mushroom, plain at first sip but magic as the flavours merge halfway through the bowl. The mushrooms have a lovely meaty chumpiness and the jelly blubbery gluten is s flavour soaking textural marvel. We even love the way they do the Chinese greens, nicely cooked with a little crunch left in them, and cut into managable chunks. Special noodles with pork intestines - $14.80. Thin white bitey noodles with a generous serve of pork innards that are rich and mild, plus a good splash of chili oil. There's something wonderous about pork intestines - maybe it's the mix of umani, fat and texture. We get the same curious thrill from andouillette. 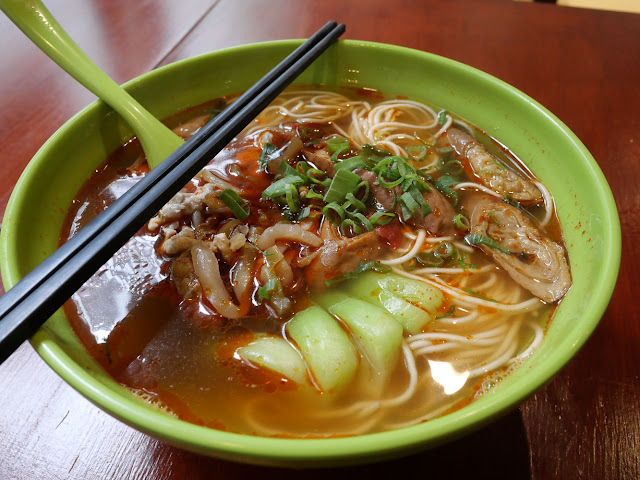 Spicy meat noodles - $11.80. 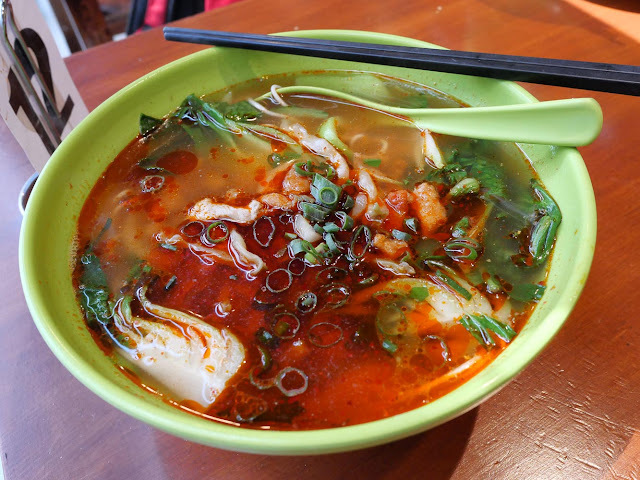 We taste what we think is a clear chicken broth livened up with chili oil, maybe a little Sichuan pepper, plenty of Chinese greens and thin white noodles. 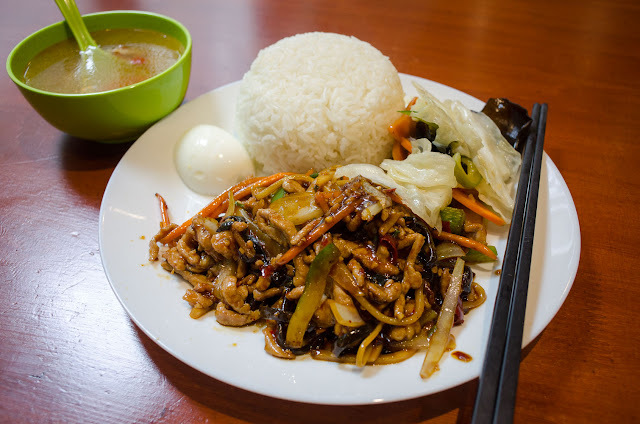 Fish flavoured shredded pork set meal - $12.80. There's half a dozen meal deals, and a deal it is indeedy. Stir fry shreds of pork in a sweet'n'sour kinda sauce given some punch pickled veggies. Served with half a boiled googie-egg and a decent side soup. Giddy up. 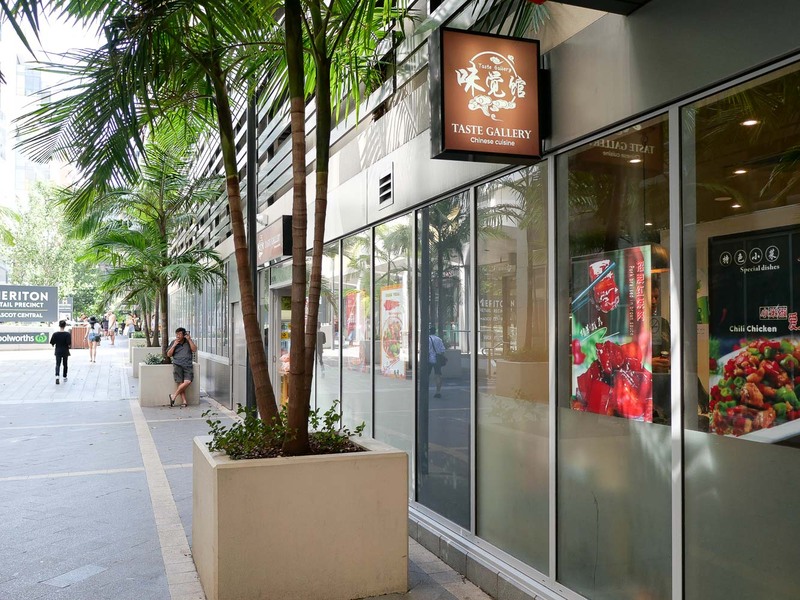 Taste Gallery is Etherton Walk / Shop 6, 8 Bourke Street, Mascot. 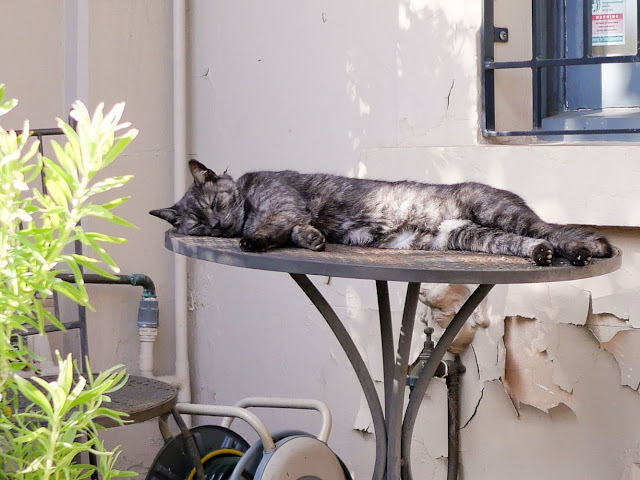 This post one of our pussycat buddies of Enmore, who is sometimes up for a pat, sometimes not, and can be seen taking his human for a walk up the street in the morning.